7 is equal to 8, true or false? 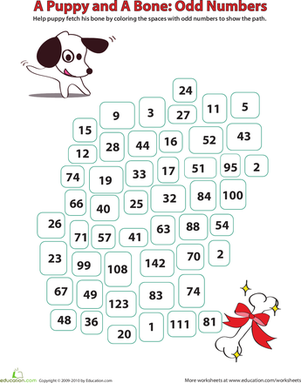 Practice comparing numbers with this dog-themed math sheet. Kids get in some coloring as they determine whether each comparison is true or false, then color the statements that make sense. 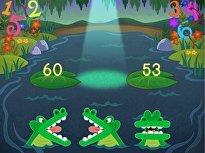 First graders' fluidity with comparing numbers is an important building block for the higher-level math concepts to come in the later grades. 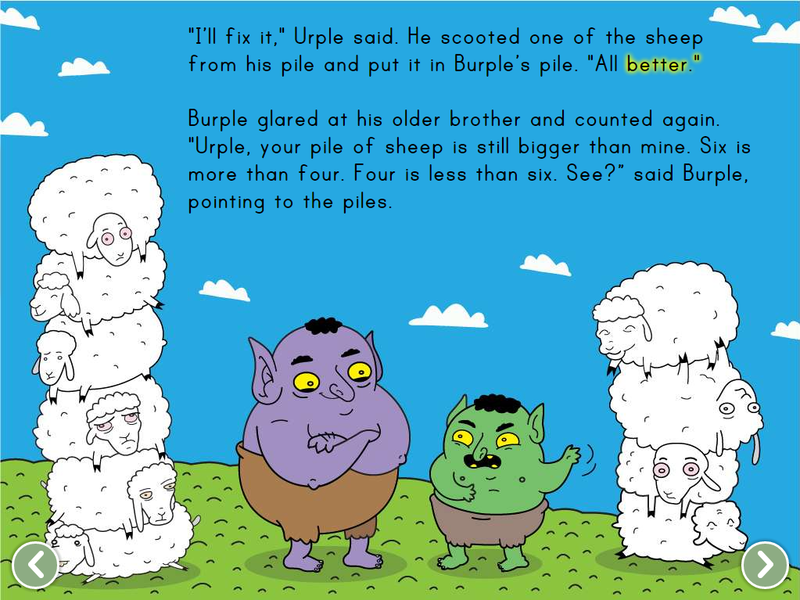 You can give first graders a leg up with this lesson, featuring guided instruction and practice problems in comparing numbers. 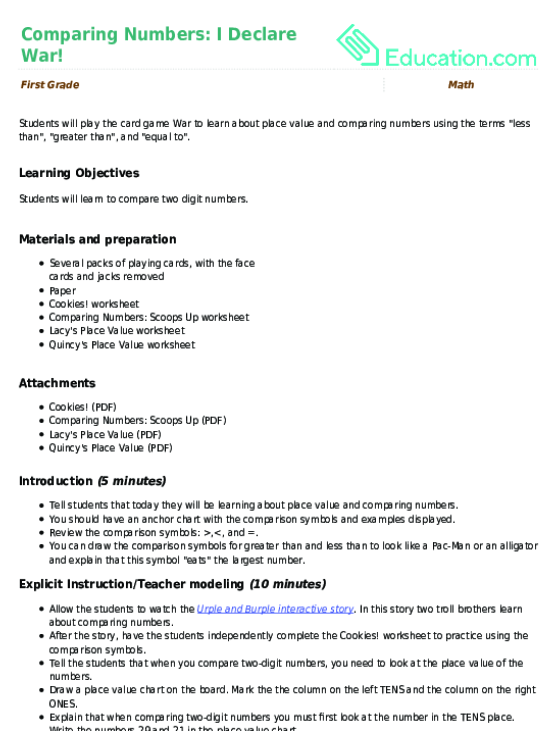 Once kids get through this lesson, you can download and print the suggested comparing numbers worksheets in order to provide even more opprotunities for practice. 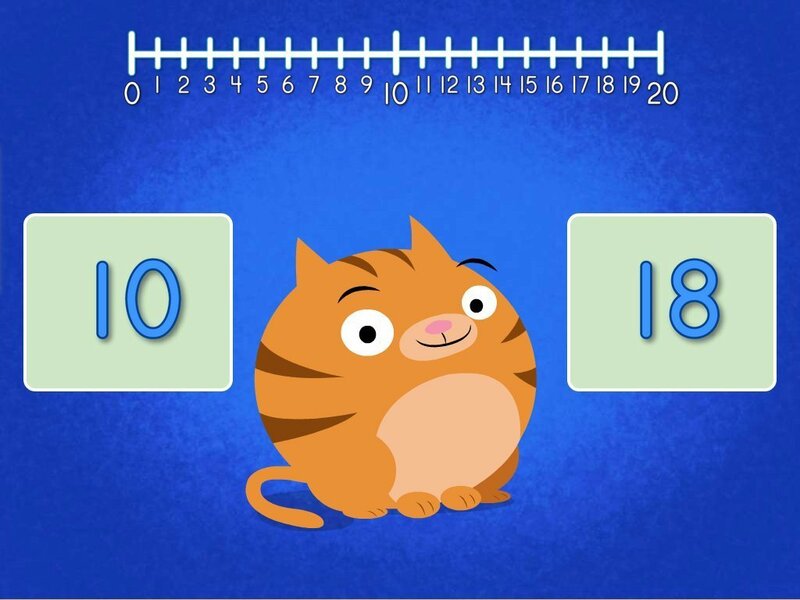 First graders' fluidity with comparing numbers is an important building block for the higher-level math concepts to come in the later grades. 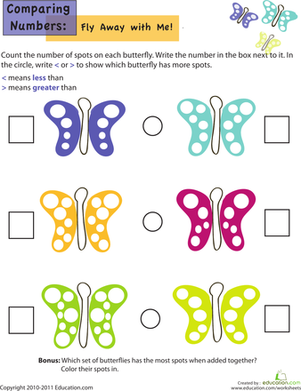 Kids practice comparing numbers as they complete each butterfly equation with the correct symbol. 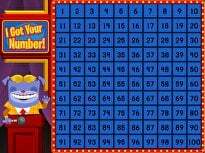 Comparing Numbers: I Declare War! 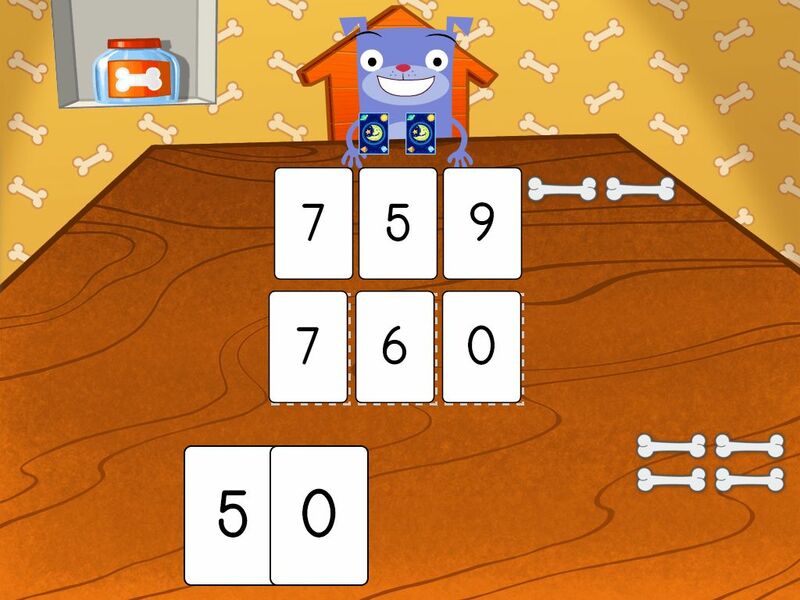 Students will play the card game War to learn about place value and comparing numbers using the terms "less than", "greater than", and "equal to". 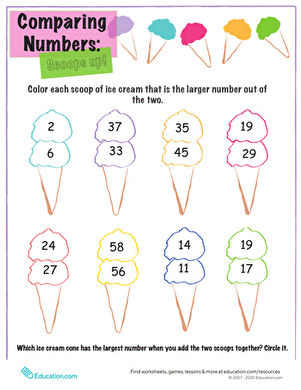 On this worksheet, kids compare the numbers written on each scoop of ice cream and color in the scoop with the biggest number. 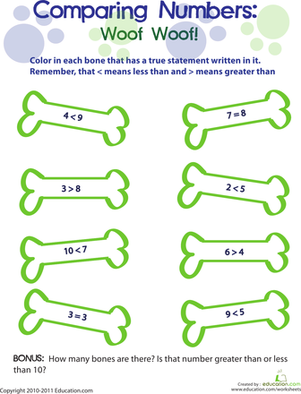 In this 1st grade math worksheet, your child will color the odd numbers to create a path that leads puppy to his bone. Learn about comparing numbers with these mischievous troll brothers. 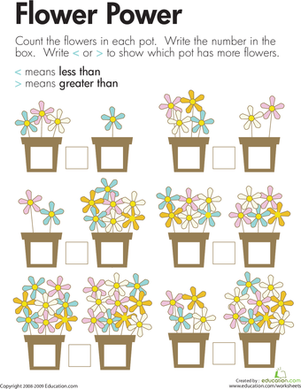 On this first grade math worksheet, kids count flowers in two flowerpots, then use the less-than symbol or greater-than symbol to compare the numbers. 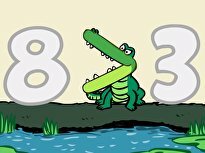 Make math practice fun, with a jungle numbers trek! 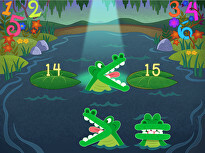 Your little adventurer will practice putting big numbers in the right order.